Book Review: Volunteer Tourism: Narcissism or the New Altruism? Home » Reviews	» Book Review: Volunteer Tourism: Narcissism or the New Altruism? 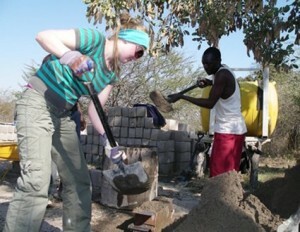 Volunteer Tourism: The lifestyle politics of international development. Jim Butcher and Peter Smith. 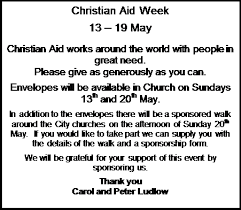 In my early years as a junior at St. Teresa’s School, in Cubbington I recall how each year a Monsignor would visit the school to talk to us about Christian Aid week, and about the plight of the poor in Asia and Africa. We would be given a little envelope for to put money into. We were assured that every halfpenny would be gratefully received and would go towards helping those less fortunate than us. Among my peers we took a sort of pride in our role as donors, and would brag, not about what we were given but about how much we gave. The question of anonymity (your gesture was known only to you and God) passed us by. But these rather humble acts would form the basis for our later understanding of altruism; primarily as a duty, that would later develop into something almost innate: something we would do without giving the gesture a second thought. I long shed my belief in God and the Catholic doctrine. Yet although I am, these days, a staunch atheist, I still find something valuable and comforting in many Christian principles particularly that of doing good for the sake of it (not a principle that I have always adhered to, admittedly). I think of it as the foundation of our understanding of what it means to be human, or more precisely our expression of our humanism. That we instinctively do good says that there is no reason why anyone should know about our deeds (some Christians go as far as to say that we should not even acknowledge our good deeds even to ourselves). Whilst it was the case that this principle was generally adhered to widely in society as a sacrifice that we underwent simply as a means of doing good without that act having to be acknowledged by others, over the oncoming decades that understanding of altruism would undergo fundamental changes to the extent that the understanding that we had then has become alien to our comprehension of doing good. Today altruistic organisations have come to resemble businesses rather than charities. The so-called voluntary sector (or ‘non-profit’ sector) has become a third area as employers, alongside the private and public sectors. Charities have virtually given up on individual donations – no longer trusting of the altruism: disdainful of basic human kindness – and instead sell wristbands, broaches, key-rings, etc.ii in return for a (usually stipulated minimum) donation. They vie with each other for local and national government tenders for research projects and as service providers. This fundamental change in our understanding of what we consider to be altruism nowadays is central to Butcher’s and Smith’s thesis. Voluntary tourism encompasses much of the contemporary ideals. Ideals that have arisen to fill the gap left by the defeat of working class movements and ideologies, and the inability of capitalism to exploit that defeat; recognising, though rarely admitting, that it too has no answers and cannot even justify itself as a system to serve the interests of mankind. What has arisen has not been an alternative political ideology, but a contempt for politics as it was generally seen (that is, class politics) and a suspicion of any authoritative voice. It’s disdain of progress speaks loudly of the diminished subject; the culture of low expectation and a conservatism that defies all reason. Vulnerability trumps heroism; risk aversion dominates nearly every aspect of human activity, particularly where children are concerned. Trust is no longer seen as a virtue; suspicion of strangers, professionals, friends and even loved ones, is viewed as the most sensible approach to our interacting with our fellow human beings. Voluntary Tourism (or ‘voluntourism’), where people, mainly students between the ages of 18 and 25, take a holiday (or ‘gap year’) spend the time helping social development in underdeveloped countries. These tours are organised by private organisations, who may work in conjunction with national governments in the developed world. But these tours are also promoted as ‘[f]un, tailor-made itineraries and character-building experiences” by voluntours organisations, who are a growing sector of the tourist industry, catering for millions of ‘voltourists’ around the world. 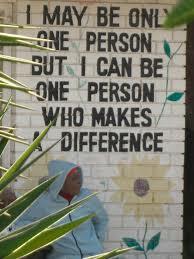 The individual ‘volunteer’ pay their own airfare and must have at least £1000v. They are promised adventure as well as the opportunity to do good: to be more than just a tourist; playing much on ideas of anti-consumerism and self-development. But Butcher and Smith ask that we should consider that voluntourists are generally sincere in doing good and comments from those who had been positive about their experience and generally believing that they had made an important difference also show a concern for the authenticity of the volunteer projects they want to participate in. There are those who have reported their experience negatively, which the authors make clear, questioning the intent of the volunteering organisations. Much of the criticism questions whether voluntourist organisations are setting their own agenda and dissuading individual initiative, whether of the voluntourist or the local people themselves. But this detracts us from the issue of how we can get a better understanding of development aid. It is certain that voluntourism grew as a means of addressing the issue, and western governments seem to see it in that manner, but is blaming the voluntourists or organisations a correct response to such a pressing issue? What makes this book so important is its refusal to see the issue of voluntourism as the problem. The authors address the issue in the wider context of the times that we are living through, where politics and dominant ideology have become individualised. The voluntourist sector grew because it met a rising demand for such an approach, appealing to the growing cynicism and suspicion of established practices and the questioning of western aid to developed nations. The US Peace Corps or the British Voluntary Service Overseas, set up in the 1950s and 60s, found eager young people, filled with idealism of bringing about a new world, and the sense of duty that the idealist carries with them, to volunteer to venture to Third World countries in order to aid development in those countries. These organisations demanded “practical, technical skills and education to help newly sovereign states in the global South”. No promises of a job at the end and definitely these ventures were not intended as thrill seeking. 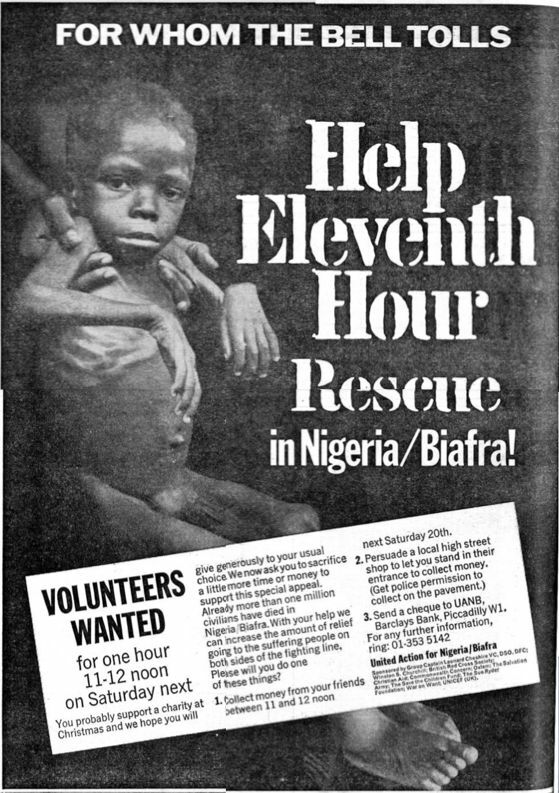 In short, altruism nor guilt were the guiding principles behind offers of help from the developed world. With world recession in the 1970s a deep feeling of pessimism set into Western attitudes towards development and the 1980s saw much concern over debt restructuring. Debt adjustment saw much divergence in per capita wealth, especially in African countries, plagued by civil wars, and literacy and infant mortality (most famously displayed in the campaigns to save the starving children in Uganda and Ethiopia, led by charities such as Save The Children and Christian Aid). Towards the end of the 1980s debt ceased to be seen as a political issue in Western Societies as the ground shifted towards the ethics behind debt recall, culminating in high profile campaigns led not by politicians but by celebrities, such as Bob Geldof. Because the issue of the Third World shifted towards becoming a moral issue, the campaigns, to write off debt, for instance, were shorn of ideology. It simply came down to a question of right or wrong. This approach, a form of neo-populism, capture the imagination of many, and raised record amounts to help the starving and, as pessimism against full-scale development became entrenched, money was intended for rural development projects. A few years later the collapse of communism quickly fell from being Western triumphalism to a question of what western values had to offer. Communism had at least, allowed the West to position itself as a democratic and freer alternative to the totalitarianism of the Eastern bloc. Without that opposition, such talk seemed more like mere blather. The 20th century had seen two massively devastating wars, economic depressions as well as continuous wars around the world, and without an opposing system which allowed the West to situate itself as the greater alternative, the west was forced to justify itself on its own ground. It was found wanting! The popularity of celebrity-led campaigns saw leading politicians and international agencies, such as the UN, take their lead from the rantings and half thought out ideas of celebrities, who, with good intentions and an overblown sense of their own importance (flattered by the international political ‘community’) took centre stage and became the fonts of wisdom in all manner of international affairs. This combination, coupled with the focus on the World Bank, which played on the contemporary cliche of the evil, greedy, bankers became a dominant voice in all aspects of what was once the preserve of politics. With the collapse of Communism the Left (including those that proclaimed themselves to be anti-Stalinist) also collapsed and found themselves in a position of not potential leadership (the Vanguard) but actual followers of a new populism that was devoid of ideology and thus, like the capitalists it seemingly opposed itself to, devoid of any answers. Moral outrage had become the new voice on the international stage. which, in itself, has grave consequences for freedom in general. I have to admit that I have never given much thought to the idea of the volunteer tourist, dismissing the phenomenon as another aspect of the narcissistic times we are living through. Butcher and Smith’s book, whilst putting the volunteer tourist into the context of contemporary times, show us that things are not as straightforward as they might appear. 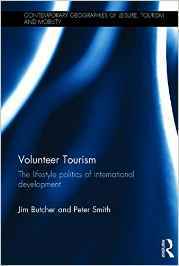 Volunteer Tourism: The lifestyle politics of international development is part of a series of books aimed at academic studies. But as a work that goes beyond that limitation, it is an immensely valuable contribution to our understanding and making sense of, the confusing times we live in. It, therefore, deserves a far greater readership than just scholars and students. It’s price may well put many people off buying a copy, though, hopefully, it may well reduce over time. In the meantime, harass your local or educational libraries to get this book onto their shelves. iiGiving something in return for a donation is not new. The British Legion, for example, sell poppies in support of Remembrance day. But unlike the merchandise peddled by charities these days, that seem to pander to some perceived narcissistic impulse of the individual donor, poppies speak, not just of remembrance of those who died in war, but more properly as a symbol of citizenship and common humanity. iii“ . . . I intentionally wrote “the author was a volunteer” instead of “the author was volunteering” to emphasize how the “volunteer” denomination became an important social marker of identity during the project.” Palacios Volunteer tourism, development and education in a postcolonial world: conceiving global connections beyond aid. Journal of Sustainable Tourism. Vol. 18, No. 7, September 2010, 861–878. ivSee Butcher and Smith ‘Making a Difference’: Volunteer Tourism and Development. Tourism Recreation Research vol. 35(1), 2010: 27–36. vIt might be worth noting that whilst there is much hullabaloo about internships these days, hardly anything is said about volunteer tourists having to make such sacrifices while, at the same time, expected to provide their labour, pro bono. viAn irony for many of those on the left who condemned tabloid reading workers as being sheep-like.